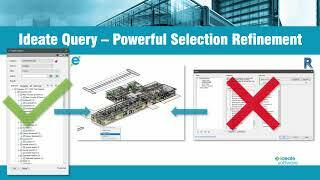 Ideate Explorer for Autodesk® Revit® gives you an easy, intuitive and profound way to search, filter, quantify and select elements in a Revit model. When having the ability to tie up inter-relationships between 100,000+ building elements can make or break your workday, you need one simple, powerful Revit add-on to help you explore and manage your Revit building information model. easily browse, find, and edit instances of revisions, grids, reference planes, color fills, annotation, and other items not covered within the project browser. Ideate Explorer is essential to quality control. 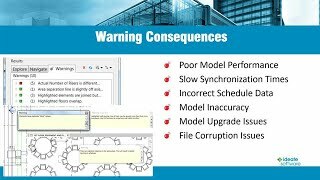 Audit your Revit models and keep them trouble-free. I went for a short period of time without Ideate tools and felt completely hamstrung. It's the best way for me to interrogate the model and as a modeller it makes my life so much easier. As a BIM Manager I use Ideate Explorer daily to keep our Revit projects clean. It is a great tool to help with quality control on your Revit models. Looking forward to the new features in 2013. Ideate explorer has been a huge hit in our office! Users find it extremly helpful for cleaning out linetypes, finding cad files that don't show up, locating duplicate families and the list goes on. Ideate Explorer is a must have in our process for cleaning up details from older projects. Thank you Ideate Explorer for helping us keep our drawings up to date and current with our office standards, what a time saver!